So as the title says I went for the new Penn Torque 100..having got on so well with the 525’s I just had to have one of the heavily engineered new reels from the Penn stable. Afraid Sea Dangler appear to have got it wrong again though…again ! The spec on the Penn box states 450yds of 12lb mono……the magazine states 420yds of 20lb mono…..no way …! 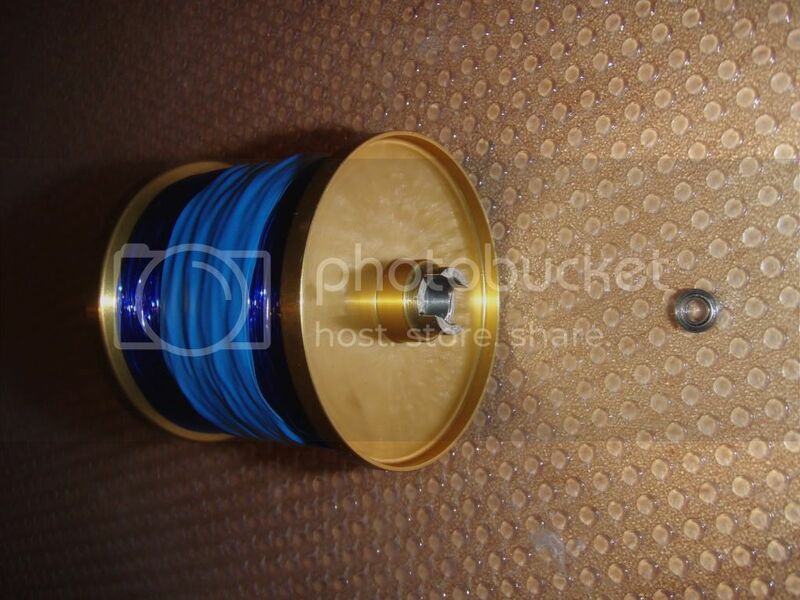 The spool is slightly narrower than a 525 but deeper than the 525 ……having wound on line from my 525 I can confirm that the capacity is up on the 525…not by a huge amount….I would estimate about 50 yds of 26lb sylcast. The reel is very well engineered,having served my apprenticeship in the aircraft industry I can confidently say that the tollerances on the parts that fit together are close but not too tight giving a positive feel to the way the parts engage. 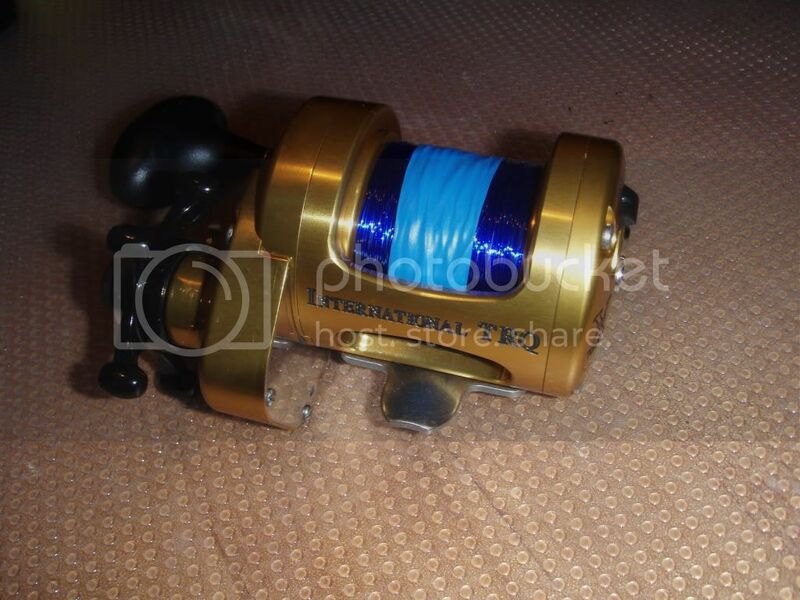 The soft feel dudaa is large and sits nicely in your handÂ oor err…lol…no seriously it does give a positive feel that cranking with this reel is going to be a doddle. 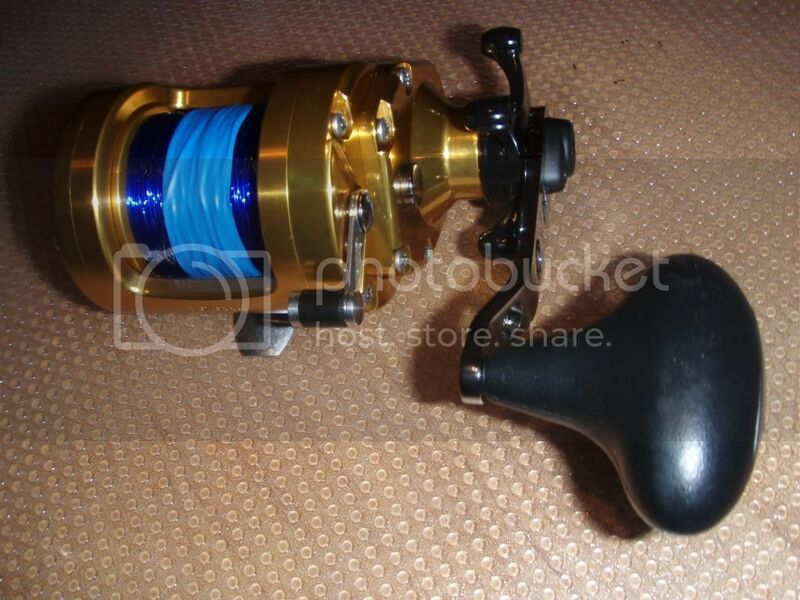 There is an access aperture in the handle so that the moving part can be lubricated…often missing on other reels…don t you just hate it when the handle starts sqweaking…won’t or shouldn t happen with this reel. The star drag is again as with the rest of the reel over engineered but that makes it very comfy to adjust and it is very smooth. 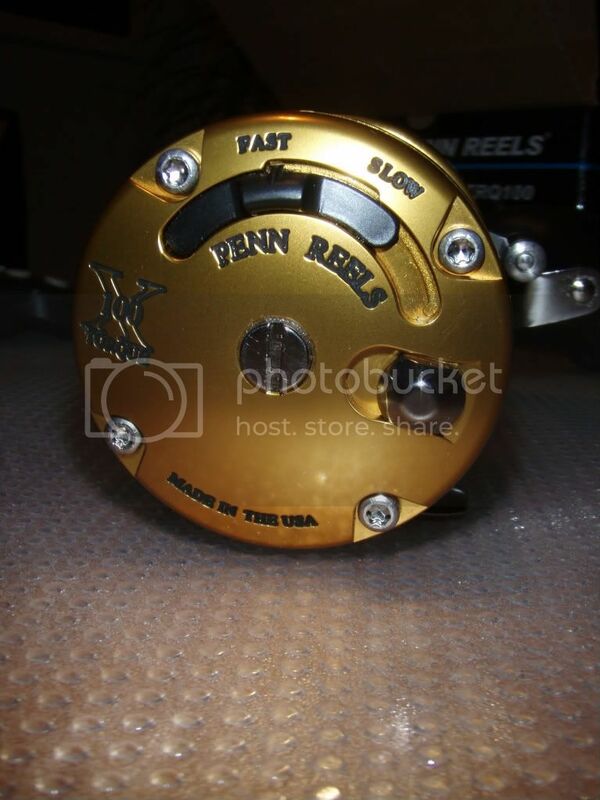 Missing from the handle end is any sort of end play adjuster like on the other Penn reels….this time the free play for the spool has been factory set at a tollerance Penn says gives optimum running of the spool….only their word to take on that one . 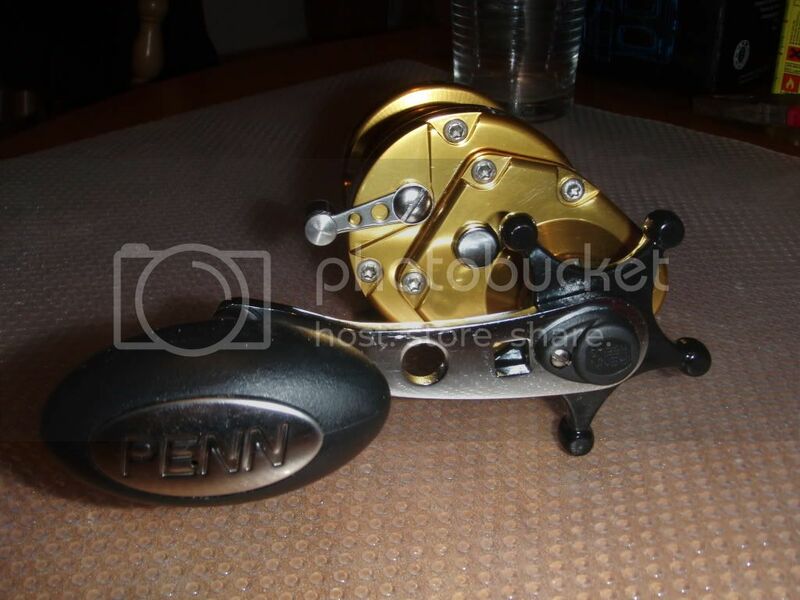 Next ,the freel spool lever….as with the other Penn multipliers the lever disengages the spool and doesn t re-engage by turning the handle but has to be engaged manually….so much better than Abu’s way which has lead to more than enough stripped gears due to the reel engaging during the cast….for me I prefer the Penn system. The lever is chunky and has a rubber insert so that the top of the reel does not get marked by the lever. In the centre you will see the end play adjuster….that is fixed…I would guess with Loctite and the instructions on the box warn that the user is not to try to adjust the screw as previously mentioned. The ratchet is one of the strongest I have ever felt on a reel with a very positive click and a firm movement to the button. The slide control for the mags is much more positive than the one on the 525 and at each end of it’s travel there is a machined notch that enables the mags to be locked fully on or fully off,there are positive increments between each end as well so the old problem of accidentally adjusting the mags during reeling in or casting should be a thing of the past with this reel. All the fasteners for both end plates are torx screws and a spanner for them is included in the toolkit supplied. The reel is manufactured form cnc machined alloy and so corrosion won’t be too much of a probvlem…I do like the various lubrication holes that have been included so the gears can be greased without stripping the reel. A very similar mag carrier to the 525 and a similar outboard bearing. 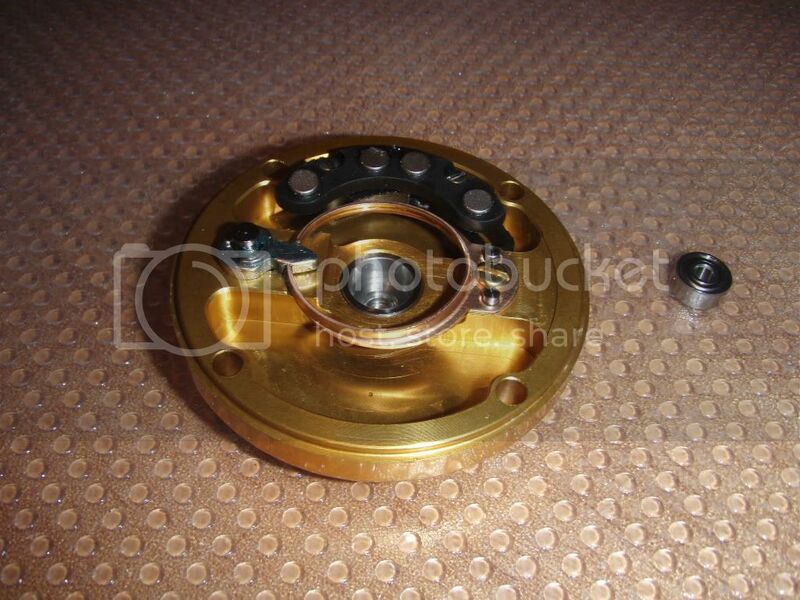 At the opposite end there is a much larger bearing than in the 525,that bearing carriers the spool,then in the right hand end of the spool there is another very small bearing that the drive shaft runs in. 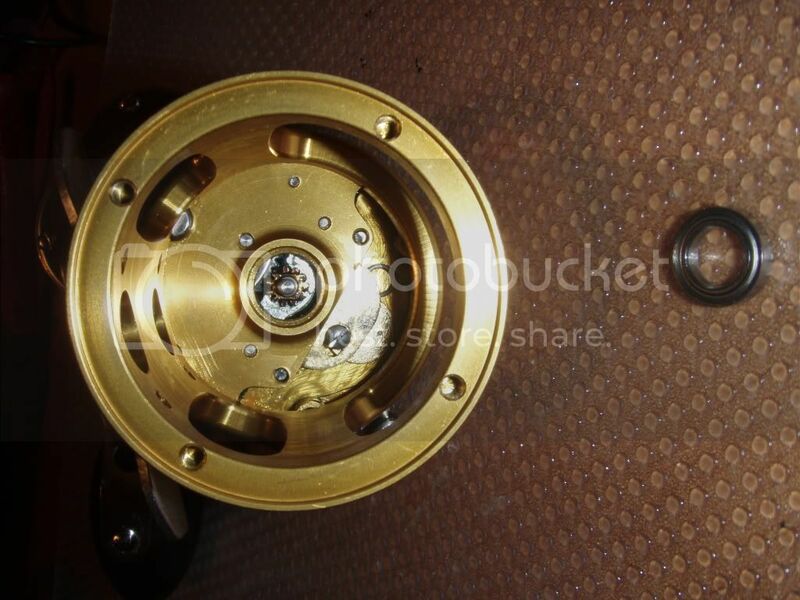 So when the reels gears are disengaged for casting the spool runs freely on a bearing and the shaft rsits still within another bearing so really reducing any chance of drag from the drive train….very clever i think. All the bearings were as usual packed with grease and so needed a flush out with lighter fluid. All have now been given a dose of Yellow Rocket Fuel and the reel runs nice and fast but slows quickly with the dialling in of the mags…I m confident that it is going to fly but has the necessary amount of control should it be needed. To sum up not a cheap bit of kit and yes ,yet again Jellyworm has been drawn by the shiny bling like appearance of this reel…..however the reports I have read on this reel have been positive and certainly my early impression is that it is far better put together than the 7000 ct mag from Abu was that I bought…..funny that has sat in the drawer for nearly a year now !